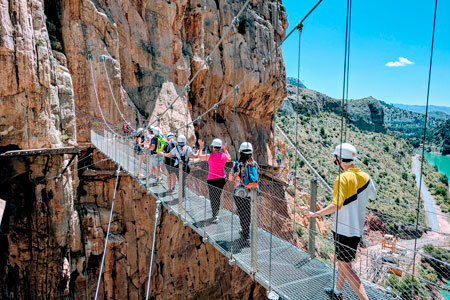 Looking for tickets to El Caminito del Rey? Stay at La Garganta and get your tickets to El Caminito. Stay in a superior double room with breakfast and dinner, enjoy the surroundings of El Chorro, a unique enclave, and visit to “El Caminito del Rey”. Send us a message and we will get back to you to help you set up your stay at La Garganta, the Balcony to El Caminito del Rey. El Caminito del Rey is a bridge over the Sierra Huma River, hanging from vertical rocks from the Desfiladero de los Gaitanes (Gaitanes Gorge), a pathway that seems to come from a dream and not from the common need to join two power plans by the shortest way possible. A special engineering that turned fishermen, who were used to hanging from the rigging of their ships, into inland construction workers. The passing of the years and the lack of maintenance made the Caminito del Rey impossible to cross. There were many parts where the floor had disappeared, leaving just the beam underneath it. Holes in the pavement, destroyed railing, and the lack of security throughout the pathway attracted many hikers looking for danger, making it more tempting to walk along. 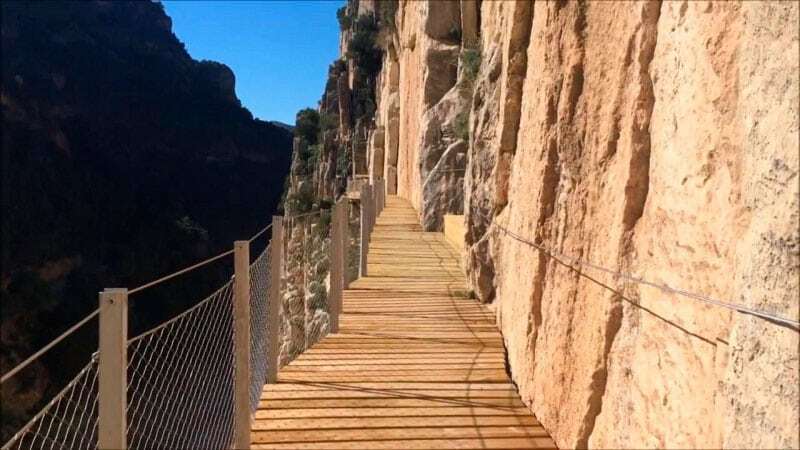 At the end of March 2015, the Caminito del Rey was finally ready to be walked along once again, this time completely restored and in good condition to now live a 100% safe and exciting experience.